Update: I just found out that Vic posted the story in its entirety on the Jane Austen’s World blog. Enjoy! There are some other links to online publications of Heyer’s works on the Teach Me Tonight blog. 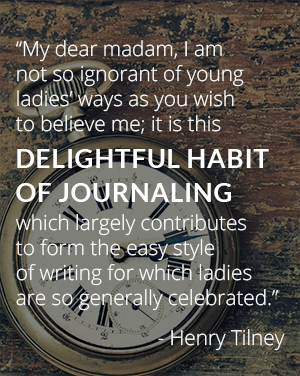 This is the first of Heyer’s writing that we’ve covered so far that has a contemporary setting. However, like in Powder and Patch, we once again have a hero who won’t take “no” for an answer, but he doesn’t attempt to “master” her or force the issue in any way. Richard asks Cicely, a modern girl, to marry him several times a week, but she always declines. It doesn’t seem to upset her, though. It’s a game; it’s flirtation. Bored and restless, Cicely decides that seclusion in the country is just the thing, and she rents a country cottage with a friend, Maisie. The girls are quickly bored with their secluded lifestyle, and Cicely befriends a neighboring farmer, Fred Talbot. Maisie turns up her nose at Mr. Talbot, but Cicely is beguiled by his rough, unpolished ways, and she spends a great deal of time with him, inviting him to tea and dropping in to his farm to see his darling little pigs and watch his chickens hatch. Mr. Talbot jumps to what most of us would consider an obvious conclusion, and he won’t take no for an answer, either. But in a reversal from Powder and Patch, he tries to “master her”–indeed, he forces himself upon her. He kisses her, very much against her will; things proceed no further, fortunately, because Richard (of course) shows up at precisely the right minute to rescue Cicely and invite Mr. Talbot to discuss the matter outside. So Richard is “masterful” in his own way. It’s a happy ending: she finally says yes. Though it is but a short story, there is plenty to make the modern reader squirm–notions of patriarchy and class that work a lot better in a period setting. Should 1920s England perhaps be considered a period setting, even if the story was written in that time period? Very possibly. In fact, probably. Things were different back in the day. It’s another “elegant trifle,” and really a very fine piece of writing considering the author’s youth. * Heyer fans who are completists like myself may find it of interest, but it’s not a must-read by any stretch. Next time, Instead of the Thorn, and I really mean it this time. *I know I keep going there, but I am really blown away by the quality of such a young author’s work. I know I couldn’t have produced anything nearly so polished and professional either thematically or structurally at that age, and certainly not in great quantity. But we live in a degenerate age, and I should probably get over it.